There's a new Champagne & Parisi Real Estate listing in Highland Beach that is sure to take your breath away. View Listing by Clicking here. Wake up to sparkling water views from every room in this oceanfront Carlton House condo. Along with views of the ocean, this condo is updated with wood floors, custom built-in cabinetry in the living room, a designer bar in the recently renovated kitchen, and baths with bamboo glass doors. The condo can be sold fully furnished, so it is move-in ready! It has two bedrooms, two bathrooms, and is 1,350 square feet. It also has rice paper wall coverings and Murano lighting. You can't beat this condo for sale in Carlton House Highland Beach! Carlton House, built in 1964, is located just south of Linton Boulevard along A1A. You'll be near all of the wonderful Delray Beach attractions, and just minutes away from the beautiful beaches. This condo is perfect as a vacation home or a place to live year round. Carlton House boasts resort-style amenities such as a heated swimming pool, 24-hour security, covered parking, a fitness center and common rooms for entertaining. Highland Beach is a small seaside town between Delray Beach and Boca Raton. Many residents live here seasonally, but some prefer to live in Florida's paradise all year long. If you're looking for maintenance free living on the beach, you'll want to consider purchasing this Carlton House Condo. 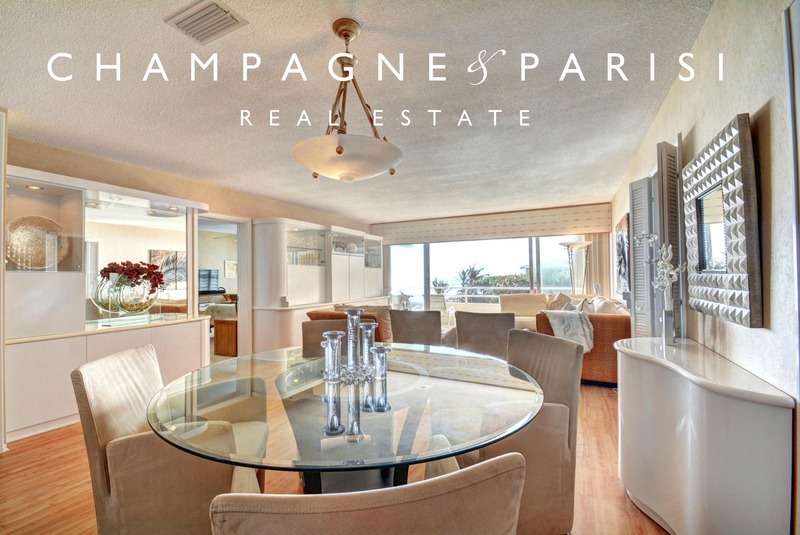 For more information on this unit or similar units, please contact Charlene Singer of Champagne & Parisi Real Estate at 561-543-2400.